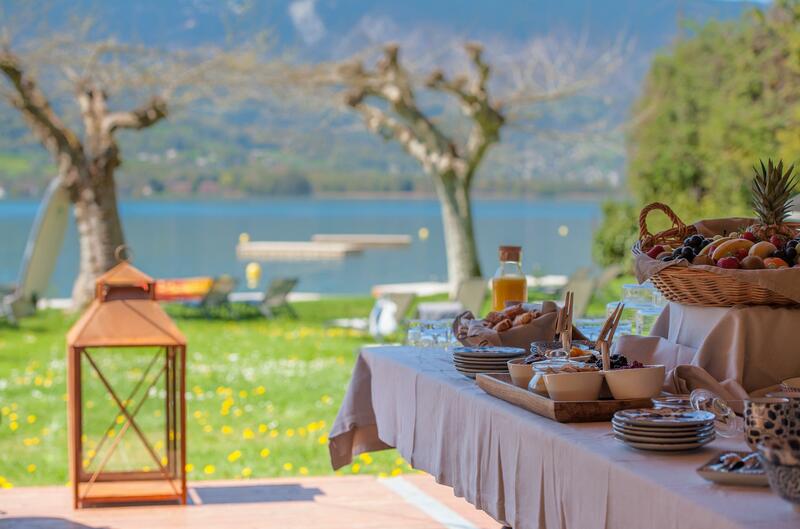 For sharing precious moments with friends and family, the 32 rooms of the Beau-Site Talloires Hotel, the restaurant, the park with or without the tent and the private beach on the shores of the Annecy Lake are all components of this magical location particularly pleasant for all. The professional team of the Beau-Site Hotel is at your entire disposal to guide you through the organization of your event and to make it successful. You have a project and wish to have a personalized cost estimate ?